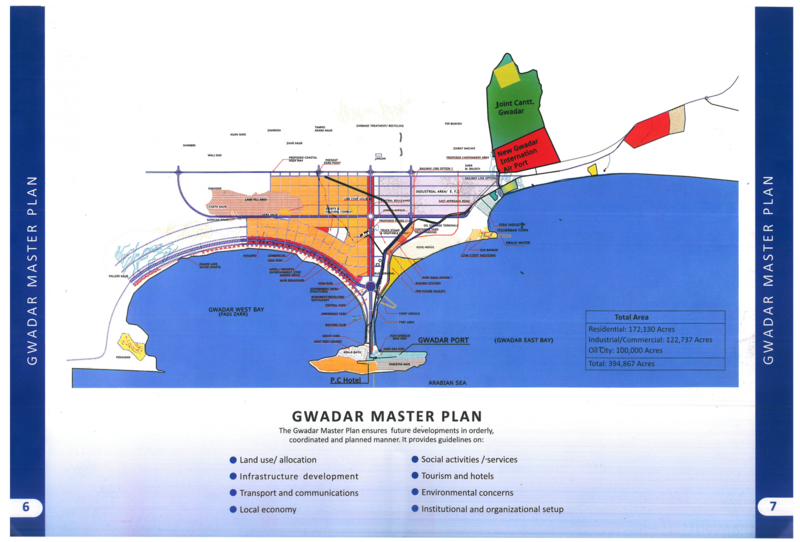 A master plan for the development of Gwadar port was developed and adopted in 2006. The plan uses a planning horizon of fifty years. The outlook plan for 2055 envisions a total quary length of 50 km, a total throughput volume of 300-400 million tons of cargo and a port land area of about 10,000 hectares. The master plan also contains a physical development program for the first 15 years, covering the period 2006-2021. The traffic forecasts developed for the next 15-20 years indicate cargo volumes that will reach the levels of the throughput of the largest current ports in the Arabian Sea within 15 to 20 years. Gwadar development authority proposes to develop Gwadar as green and smart port city having the potential to be industrial leading position in western Pakistan and important components of natural economic growth from the perspective of long term.